Retired physician and long distance sailor. 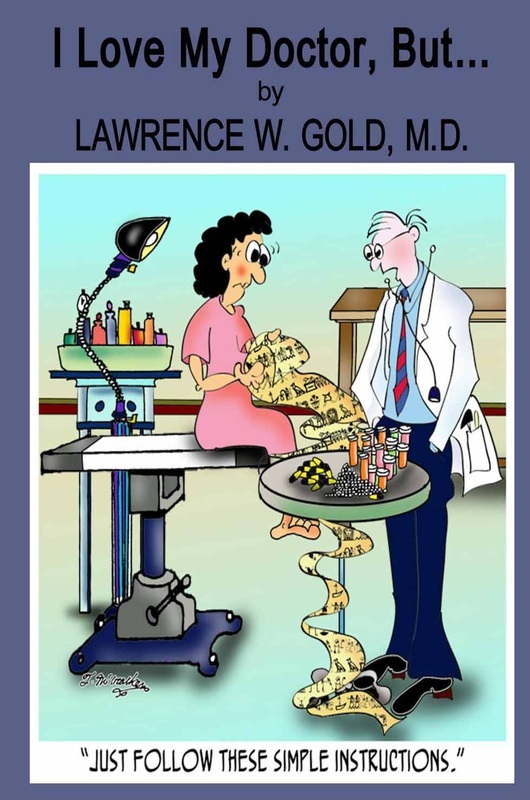 Author of six novels all with medical themes. Created the Brier Hospital Series which are growing in popularity. Wrote five screenplays based on my novels. They remain undiscovered. We live in the Sierra foothills between Sacramento and Lake Tahoe. If you believe that television, movies, or medical fiction, accurately portray what it’s like to be an acute care physician or a critically ill patient in a hospital today, think again. 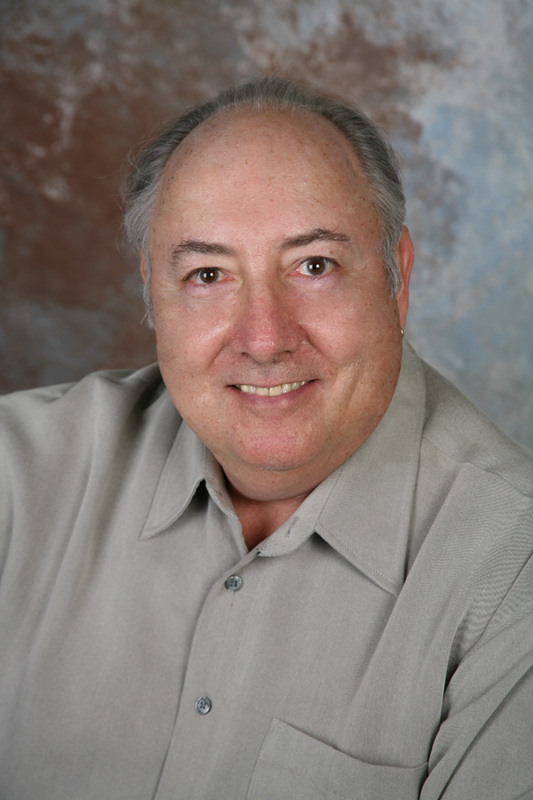 Dr. Joseph Polk is an intelligent, charismatic, and powerful member of the medical staff at Brier Hospital in the San Francisco Bay Area. This once brilliant physician, a functional psychopath for most of his career, has decompensated. Nurses and front-line physicians see Polk’s indifference, incompetence, and stubborn cruelty, but the medical staff and the hospital administration are willfully blind. Patients suffer, and worse. Jack Byrnes has finally completed his training in Intensive Care Medicine and joins Brier Hospital’s medical staff. Jack has been well trained to care for patients, but he’s woefully unprepared to deal with Joe Polk, the medical staff, enraged nurses, and the hospital’s administration. The strength of First, Do No Harm lies in the authenticity of the medical setting and the struggles of patients and physicians. Joe Polk is a very different kind of villain. If you enjoy medical drama, you’ll love For the Love of God, a novel that accurately depicts what happens when a cult denies sick children lifesaving medical care. While this is fiction, the novel shows practices that continue to this day. Arnie can detect danger, disease, drugs, contaminated food and medications, and he senses when his wife is horny. He smells when people are lying to him. Arnie’s nose captures molecules beyond smell, the invisible chemicals that effect human behavior known as pheromones, his sixth sense. 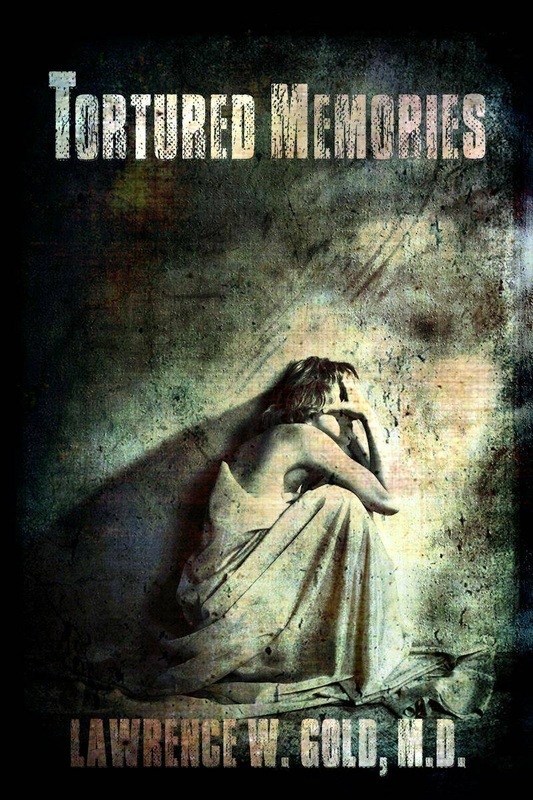 When normal people suddenly attack and murder, their defense attorney hires Dr. Michael Rose, a former cop turned forensic psychiatrist and his associate, Karen Scott to represent them in court. The inexplicable events mystify these experienced professionals, and together they seek a rational explanation. When psychiatric evaluation reveals a pattern among the subjects, Michael suspects that there is more to these incidents than spontaneous psychosis. Using his instincts and skills as a former police detective, Michael and Karen begin their own investigation. What they uncover is chilling. Why is it happening, and most importantly can they do something before the killer strikes again? During the dramatic denouement, Michael must wrestle with his conscience and the true meaning of justice. Even in the age of the genome and sophisticated biotechnology, medical progress still moves at a snail’s pace. Seasoned investigators are matured by experience and they accept the virtue of the too-slow scientific process. The young, however have been brought up in a world of instant gratification, and they barrel ahead never looking back to see the havoc in their wake. So it is with Dr. Harmony Lane. 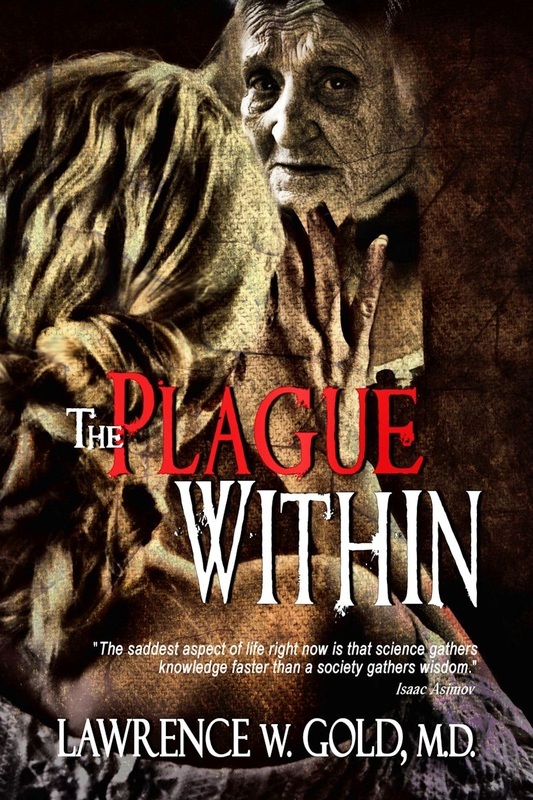 In her single-minded obsession to cure her patients, she cuts corners and treats a desperately ill woman with an experimental viral vector provided by an unscrupulous research scientist. While he shares her impatience, he cares nothing for her humanistic sensibilities. She uses a similar vector on her patients with autoimmune diseases. You have questions for your physician, but don’t ask them? Your physician has questions for you, but he/she doesn’t ask them. That’s one hell of a way to run an airline, a railroad, a government, or a medical practice. Fault is besides the point, but difficult or painful questions unasked or unanswered threatens your health and compromises the physician’s ability to help. I Love My Doctor, But… empowers patients and their physicians and offers common sense solutions to important problems in medicine today. In the light of Boston and Oklahoma City, homegrown terrorism is no longer surprising. Deadly Passage is a multi-layered, high seas, adventure-thriller novel of bioterrorism in a post 9/11 world. 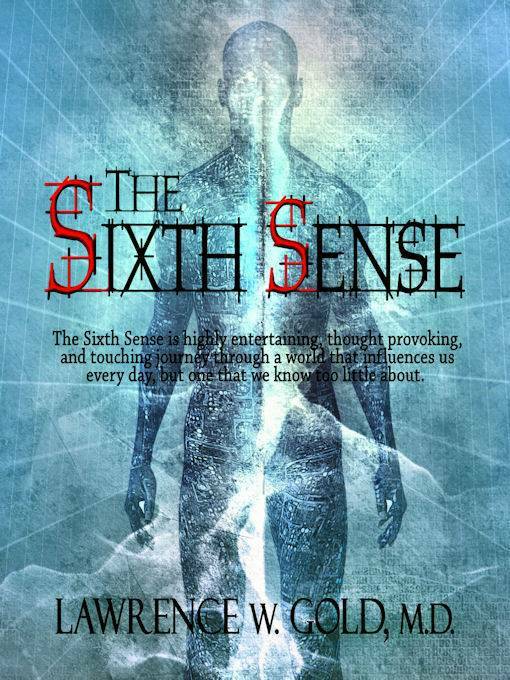 The novel operates on several levels not commonly encountered in a high-octane thriller, including insights into the terrorists, their backgrounds, rationale, and subtle conflicts within the communities from which they have been drawn that ultimately condition their decisions and actions. The responses of US governmental agencies mirror these diverse perspectives. Andy Reiss, a physician, Jesse his registered-nurse wife, and Rachel, their barely teenage daughter, head home on their sailboat, Prophecy, after five years at sea touring the world. They thought they’d dealt with every imaginable experience at sea. When Prophecy comes upon a sailboat adrift, they discover two young Americans, a brother and his sister. After bringing them aboard, both break out with a rash that Andy identifies as a deadly virus. Soon it becomes clear that they’ve inadvertently rescued two homegrown terrorists intent on bringing a deadly virus to the Miami area. Soon the disease is full-blown, sealing the fates of the terrorists and all those they encounter. 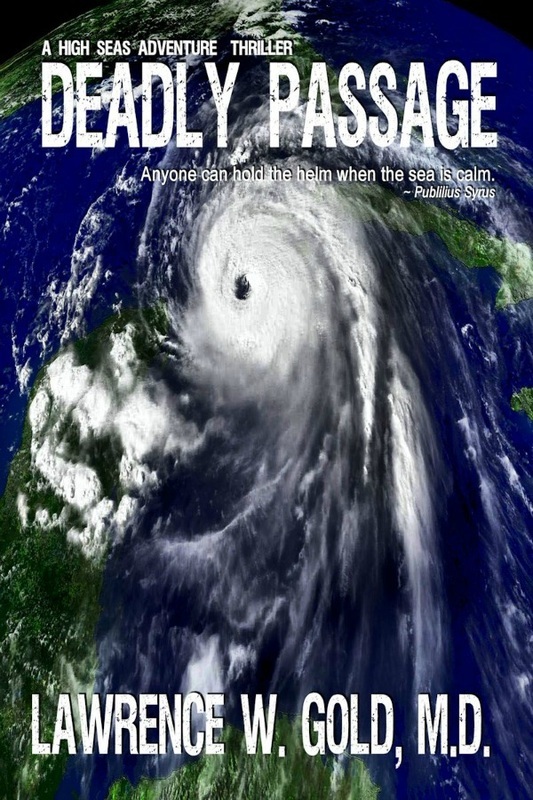 Andy, Jesse, and Rachel must deal with the unwanted guests, their disease, the Cuban Navy, an approaching hurricane, and the U.S. Coast Guard turning them away from safety, operating under the influence of conflicting political and operational motivations in the Department of Homeland Security, the Coast Guard, and the oval office. The shocking and unexpected denouements leave us twisting in uncertain winds reminiscent of On the Beach. A Simple Cure engages the reader in the search for the cure of malignant melanoma. While an uncommon skin cancer, one American dies of melanoma almost every hour (every 61 minutes). The incidence rate has tripled in the last twenty years. When nature, in her ultimate act of irony, strikes Richard Powell, a cancer specialist, with malignant melanoma, a highly aggressive form of cancer, his wife, Terri devotes her life to curing the disease that ultimately kills her husband. While research laboratories are characterized as noble in search of cures, and proprietary drug companies are caricatured as ruthless and materialistic, too often, the distinctions aren’t so clear. 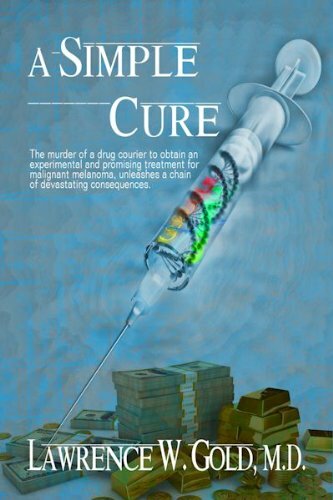 The murder of a drug courier to obtain an experimental and promising treatment for malignant melanoma, unleashes a chain of devastating consequences. People for Alternative Treatment, a company created to find cures for rare diseases, had fallen on hard times and become a subsidiary of Kendall Pharmaceuticals, a company with very different values. Experimentation with a vaccine against tuberculosis is showing surprising effects in controlling malignant melanoma at PAT and UC Medical Center. Kendall is enthralled with the economic potential of such a treatment, while researchers are leery and have many unanswered questions. Kendall’s determination to push the vaccine into clinical trial at all costs is in conflict with Terri and her ethical associates. When clinical trials begin, the vaccine’s effects are miraculous. Soon, however, once again, we see the rule of unintended consequences.